Officials are looking to fill 19 positions on 10 of the city’s boards, commissions and committees. The list of vacancies includes volunteer seats on the Advertising and Promotion Commission, Animal Services Advisory Board, Telecommunications Board, and more. 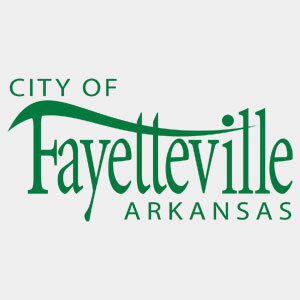 Three paid positions are also available on the Fayetteville Planning Commission. Members of the Planning Commission are paid $375 per month. All applicants must be registered voters who reside within the Fayetteville city limits. Applications must be mailed or hand delivered to the City Clerk’s office or emailed to city_clerk@ci.fayetteville.ar.us by 5 p.m. Friday, Feb. 27. Meetings: Regular meetings are held the second Monday of each month at 6 p.m. in City Hall. Description: The purpose of this board is to provide leadership in performing the mission of the library; to serve as a liaison between the library and the city; and to ensure the library meets the informational, educational and recreational needs of the community. The board is responsible for library funds, construction and maintenance of any library building, policies and planning, and the appointment of the library director. Meetings: Regular meetings are held on the third Monday of even numbered months at 4:00 p.m at the library. Meetings: Regular meetings are held the third Thursday of each month at 5:30 p.m. in Room 219 of the City Administration Building.